« Warm Weather Means Cool Treats! 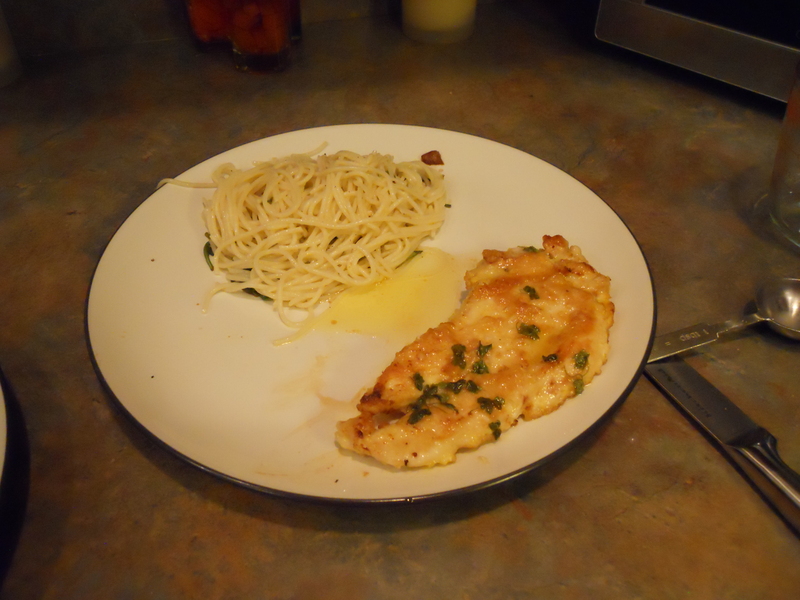 Chicken Piccata is a classic Italian dish. This is a really easy meal and great for a date night….especially if you’re trying to impress that special someone! Serve with roasted or mashed potatoes or pasta with a little olive oil and garlic. I usually serve it with lemon pasta (as in the picture) but most recently I made some roasted potatoes seasoned with salt, pepper, garlic, Italian seasoning, and a bit of olive oil. The potatoes were just for my Hubby…I ate mine with some roasted asparagus with salt, pepper, garlic, and a sprinkle of parmesan cheese. Be sure to pound your chicken as evenly as possible. This ensures that the entire breast is getting done at the same time. Make sure your pan is hot! Heat the pan first and then add the oil and allow that to heat up. Then you can add the chicken. Prepare the chicken by cutting each breast in half lengthwise to make four filets. Pound each piece to 1/4” thick, using a meat mallet, rolling pin, or bottom of a heavy pan. Heat the pan over medium heat and add the oil. When oil is hot add 1 tbsp of butter. To the same pan, add the wine, scraping up any bits of meat that may be stuck to the bottom. Add the chicken stock and lemon juice. Turn heat up to medium high and allow sauce to reduce, stirring occasionally. Once the sauce has reduced by at least half, remove from heat and swirl in the remaining 2 tbsp. of butter until melted. Stir in the parsley and capers.